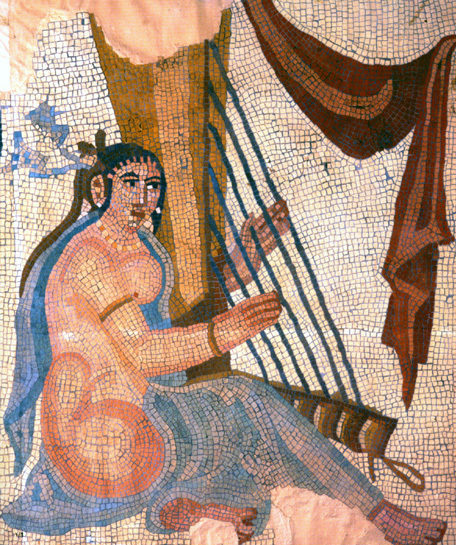 The Harp is a string instrument of very ancient lineage that is synonymous with classical music and cupid’s lyre. 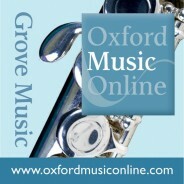 Over the years, the harp has morphed from its primitive hunting bow shape to its modern day use in corporate branding. Across the globe, each culture has its own variation of this whimsical soft-sounding instrument. Check out these ten fun facts about the harp. 1. The harp is one of the oldest instruments in the world. It dates back to around 3000 B.C. and was first depicted on the sides of ancient Egyptian tombs and in Mesopotamian culture. Floor pavement representing female dancers. Marble mosaic, ca. 260 AD (Sasanian Era). From the iwan of the so-called palace of Shapur at Bishapur, Iran. Excavated by Roman Ghirshman, ca. 1939–1941. Public domain via Wikimedia Commons. 2. Nowhere is there a larger variety of harps than in Africa. The harp has a place in the traditions of nearly 150 African peoples. 3. The word harpa was first used around the year 600 and is a generic term for stringed instruments. The verb harp means to talk on and on about one subject similar to a harpist plucking the same string over and over. 4. With a range of one to 90 strings per instrument, the harp can be classified into two main categories: the frame harp and the open harp. 5. A modern harpist plays using only the first four fingers on each hand. They pluck the strings near the middle of the harp using the pads of their fingers. Irish harpists use their fingernails to pluck the wire strings. 6. The rapid succession of musical notes played on a harp is called arpeggio and the sweeping motion of the hands across the strings is termed glissando. 7. Once an aristocratic instrument played for royalty, harpists were challenged with being able to evoke three distinct emotions from their audience: tears, laughter, and sleep. 8. The harp has been Ireland’s national symbol since the thirteenth century. 9. 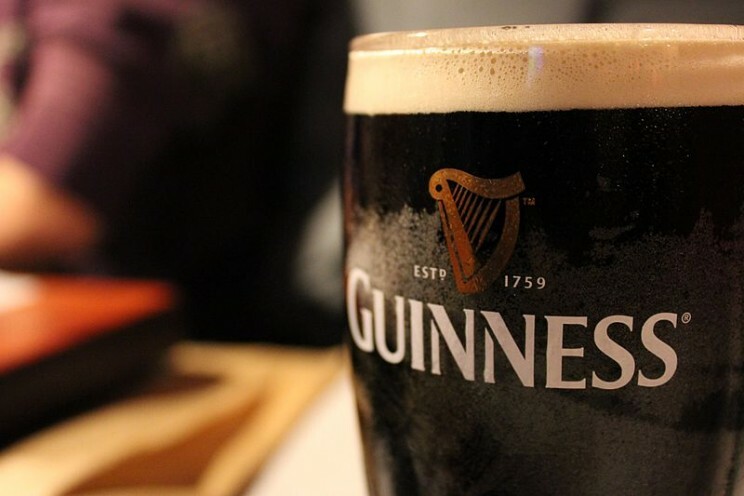 The popular Irish beer, Guinness, also features a harp as its symbol. Guinness da Bar, by Morabito92. Public domain via Wikimedia Commons. 10. In the 20th century, historians and harp aficionados garnered wide-spread interest in reviving the harp and in 1990, the Historical Harp Society was founded and based in North America. Headline image credit: Celtic Harp. Photo by Holzwurm52. CC BY-SA 3.0 via Wikimedia Commons. Miki Onwudinjo is a Junior Level Marketing Coordinator at Oxford University Press.